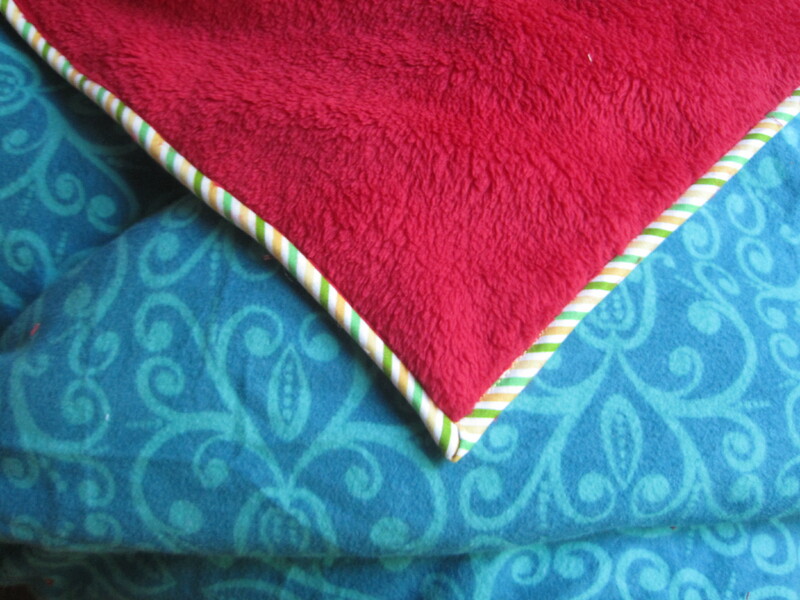 Besides making Artful Oven Mitts, my favorite gift to make is Fleece Flannel Blankets. 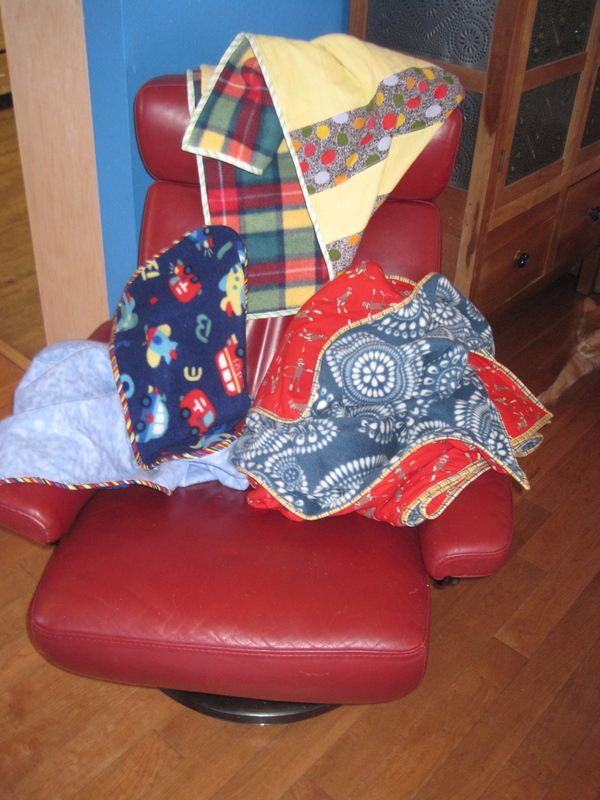 And being that it is the holiday season–which really just means Maker Madness is going on at full speed–I thought I would share how I make the bindings for these blankets. 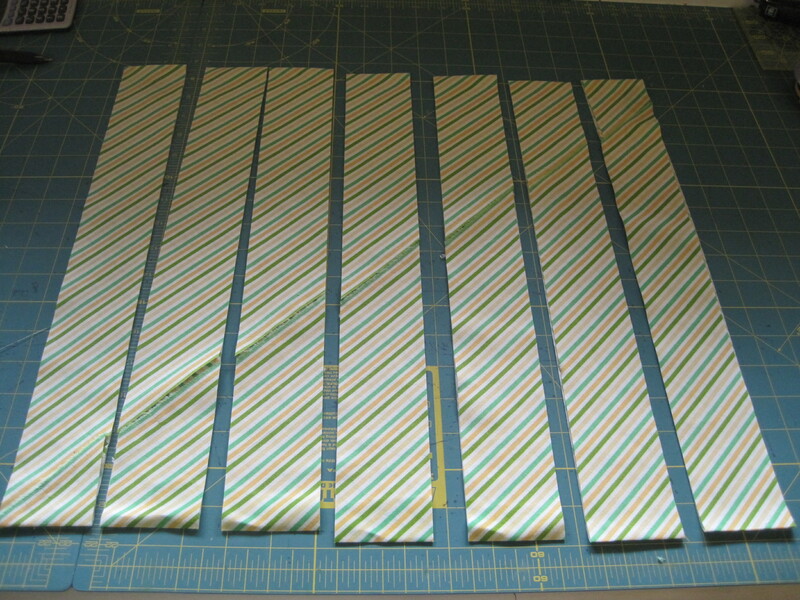 Back in June, I wrote about Fleece Flannel Blankets, and I promised that when it got dark and the snow started falling, I would share my method for making a twirly striped binding. I love how this binding looks. 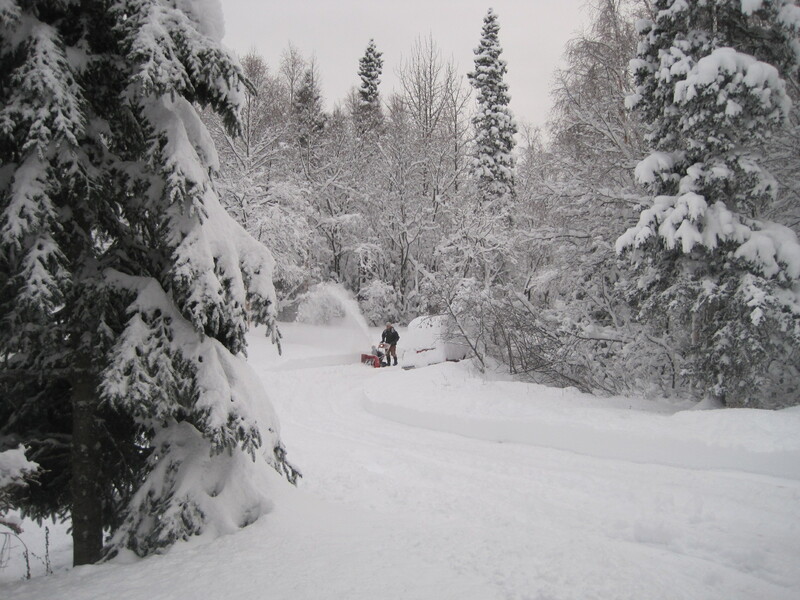 Well, we are buried in snow, and Winter Solstice is just week away which means for once I am on schedule. Here is Walt at high noon today–snow blowing us out from under this weekend’s storm. 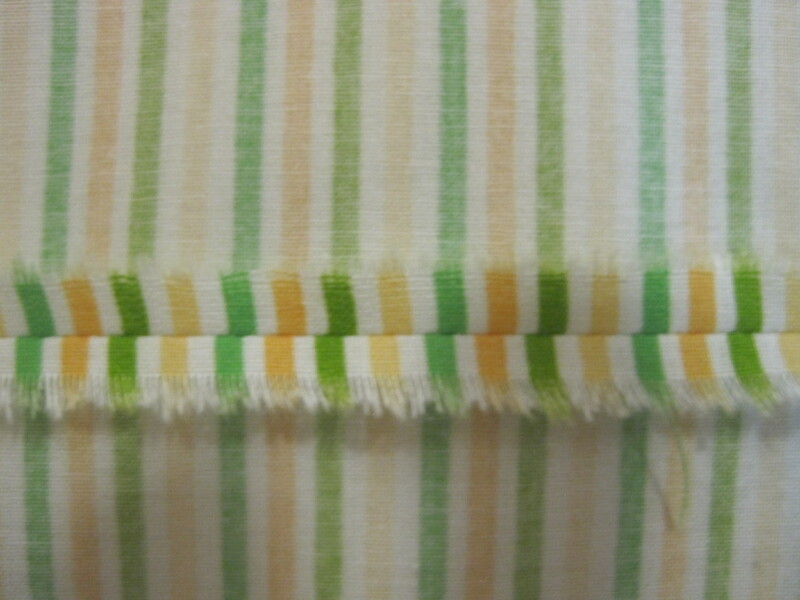 A twirly striped binding is simply a binding made of striped fabric that is cut on the bias. The first step is to figure out how big your piece of stripped fabric needs to be. Quilt Maker Doreen Speckmann created this easy formula to help you do that. You will need a calculator with a square root function. 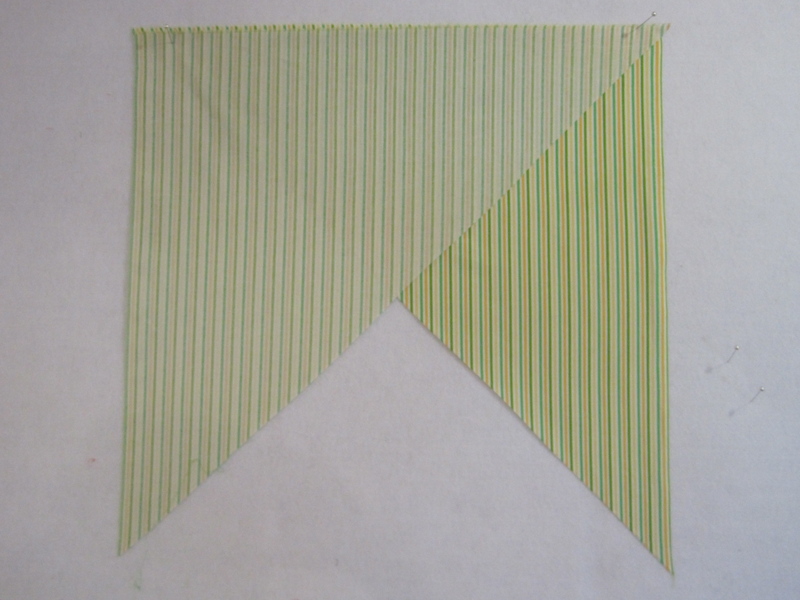 Add the inches of the perimeter of your quilt. If we are making a throw size Fleece Flannel Blanket that would approximately 64” + 72” + 64” + 72”. This equals 272”. I am rounding up here, as I hate finding out at the sewing machine that my binding is too short. Multiply that number by the width you like to make your bindings. I like a 2 1/4” binding. 272 x 2.25 equals 612. Now I hit the square root key on the calculator. This gives me the number 24.7. I then need to add 3” to account for seam allowances. 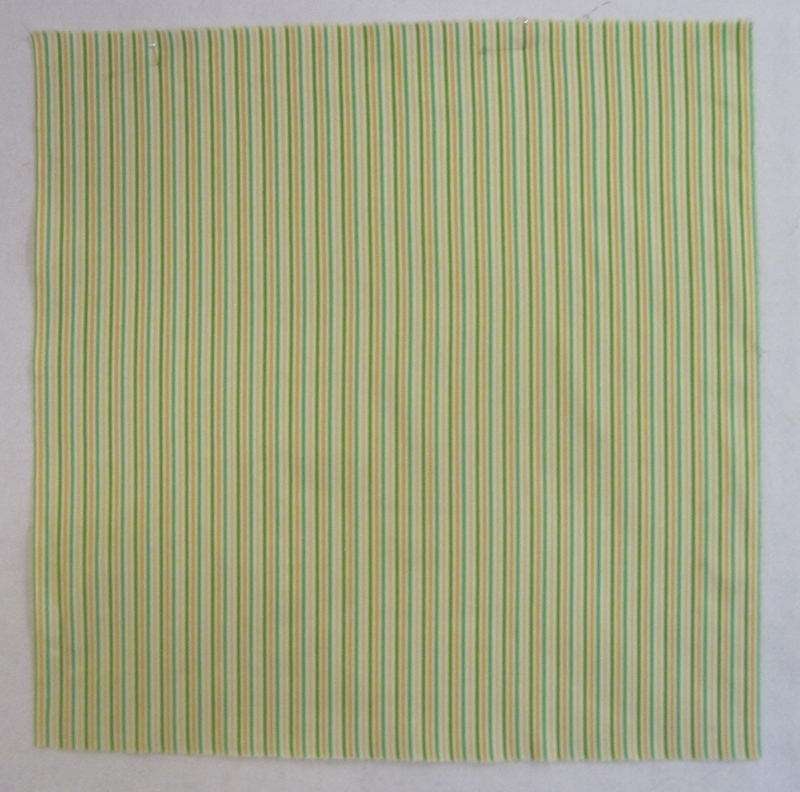 This means I need to cut a 28 inch square of my striped fabric. There you go. I love this formula. Thank you Doreen Speckman. 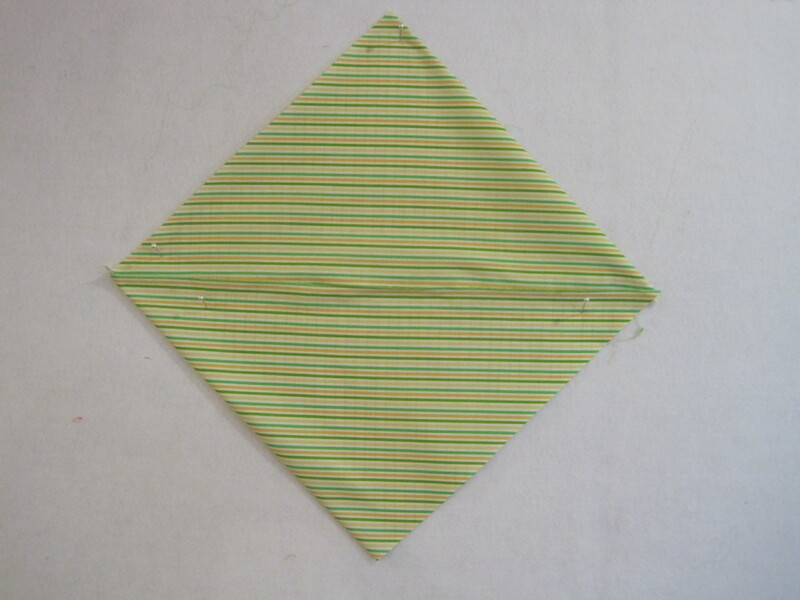 Next fold this square in half and iron a crease there. 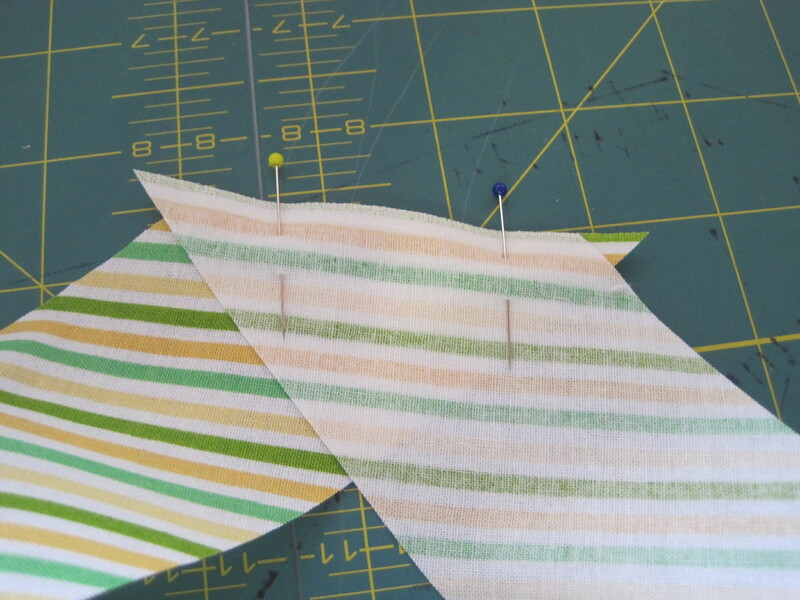 Use your favorite ruler and cut along that crease line. 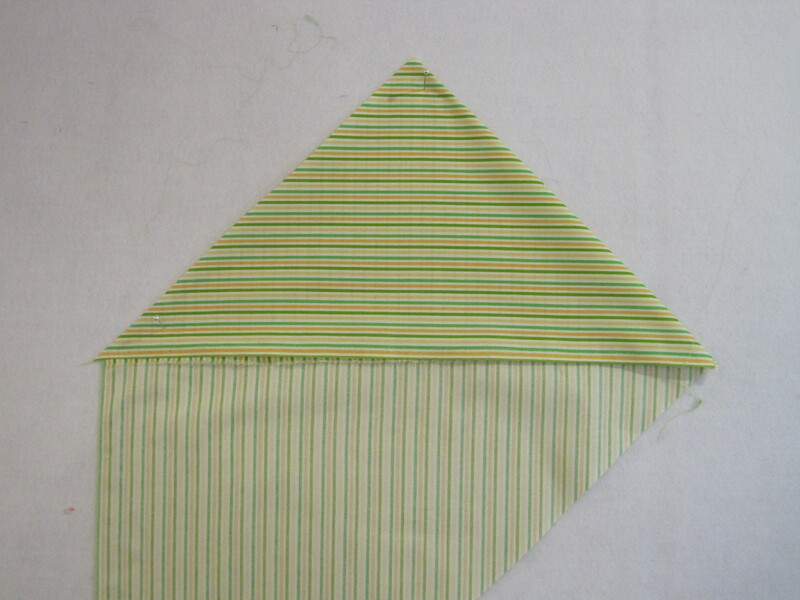 Take the bottom triangle’s bottom edge and line it up with the top triangle’s top edge to look like this. Stitch a 1/4” seams and iron it open. 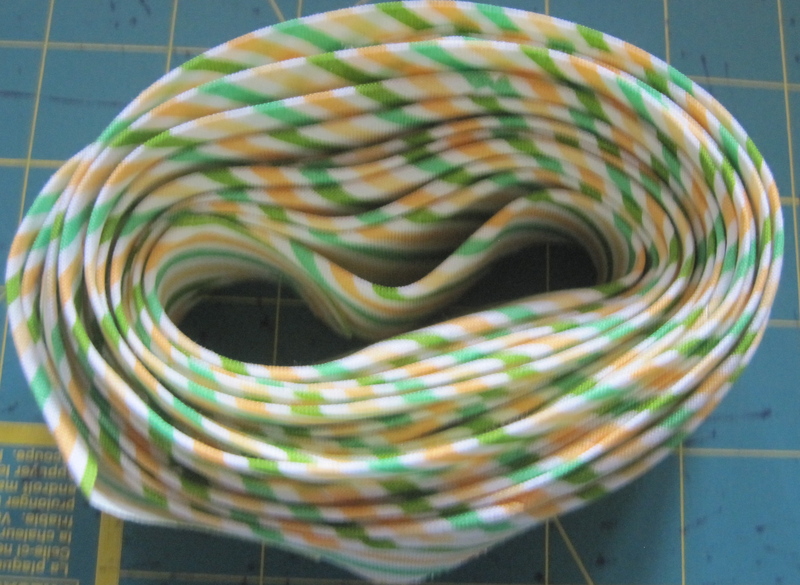 This reduces bulk in your binding. You will now have a parallelogram. Go to iron board and put the parallelogram on it. 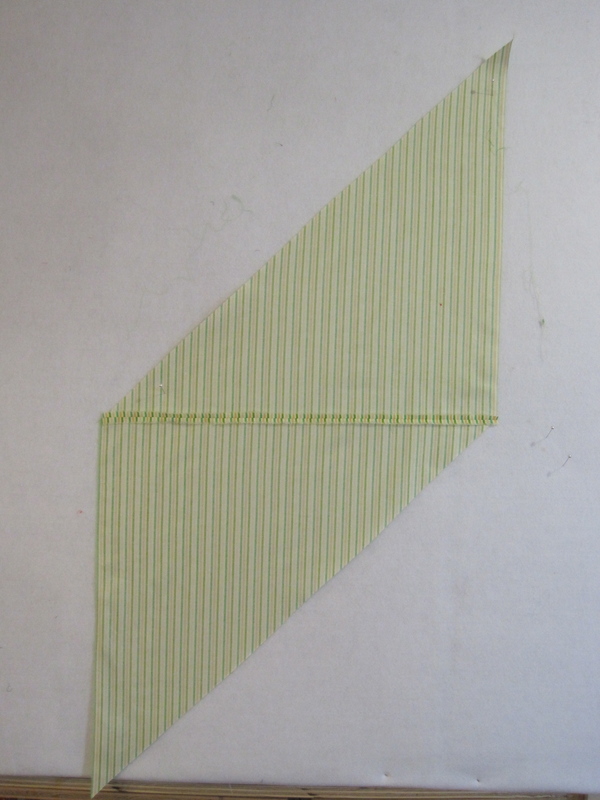 Take the top point of the parallelogram and bring it to the left edge of the seamline to make the top of a square. Take the bottom point of the parallelogram and bring it to the right edge of the seamline. You now have a square. Iron these new folds so that they are nice and flat for cutting. Move your binding to your cutting table. Straighten the edge with your ruler. 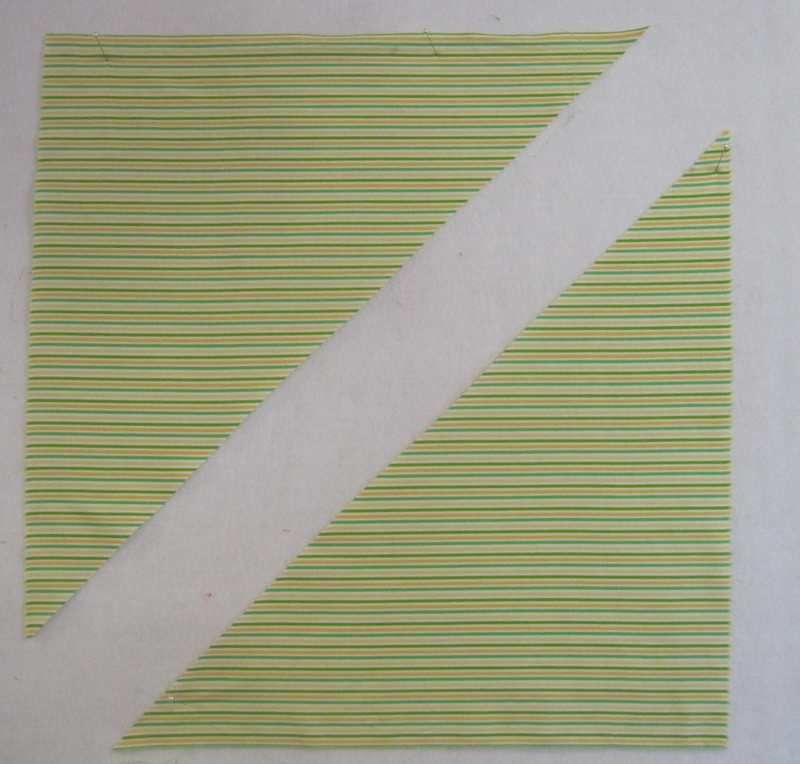 Cut your binding strips to your desired width (2 1/4” if you are me). Pin these strips like this. You want a little triangle to poke out on each end. 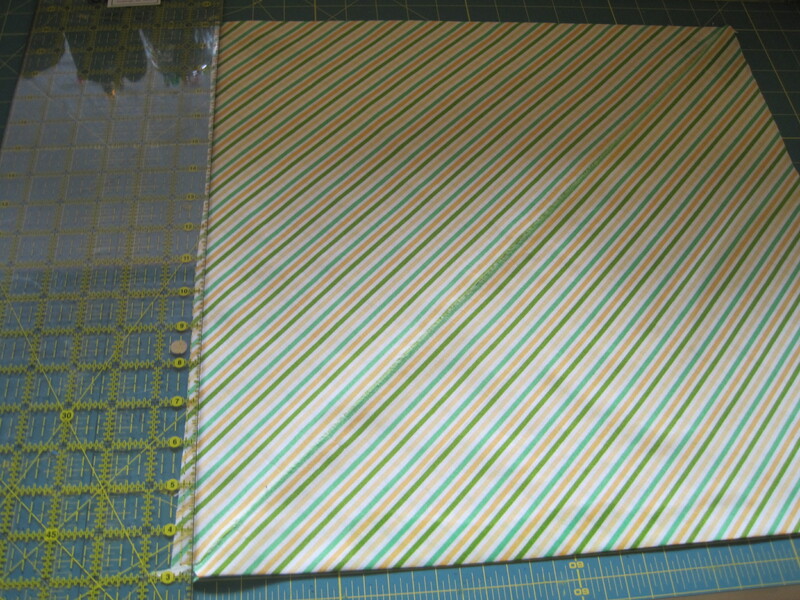 Doing this, compensates for the 1/4” seam and you end up with a nice clean edge to your bindings. Stitch those edges together. Iron the seams open. There is not a lot of room in bindings for extra bulk. Ironing your seams open reduces that bulk. 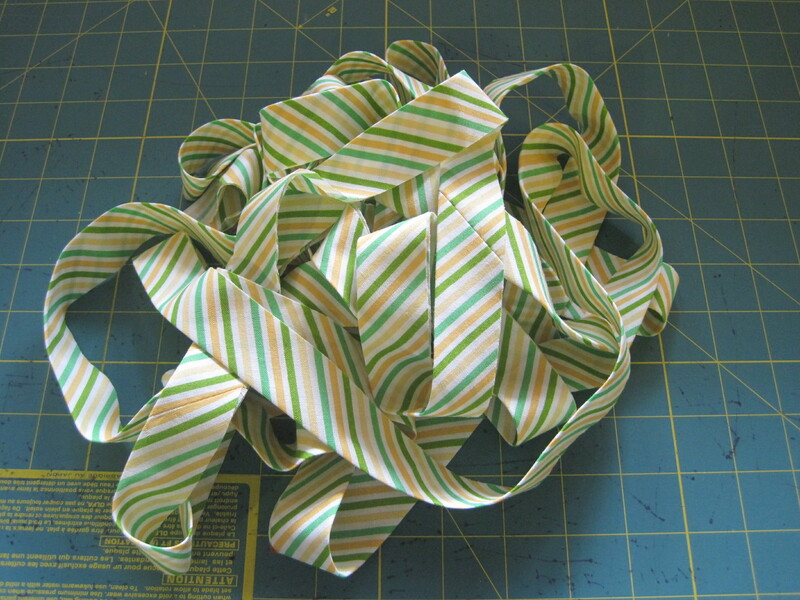 Sew all the strips together in this manner. Now that is a beautiful binding. 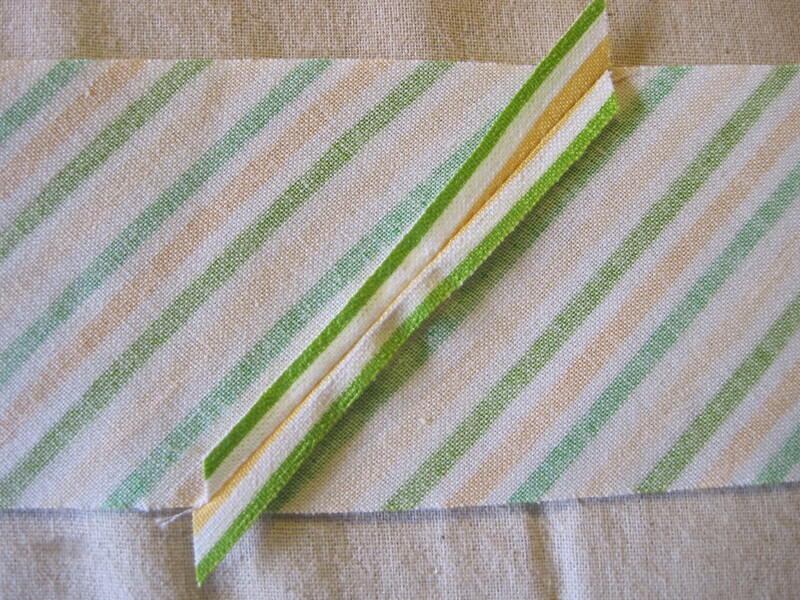 I like to fold my binding like this if I am going to store it. Here is that binding attached to a Fleece Flannel Blanket. 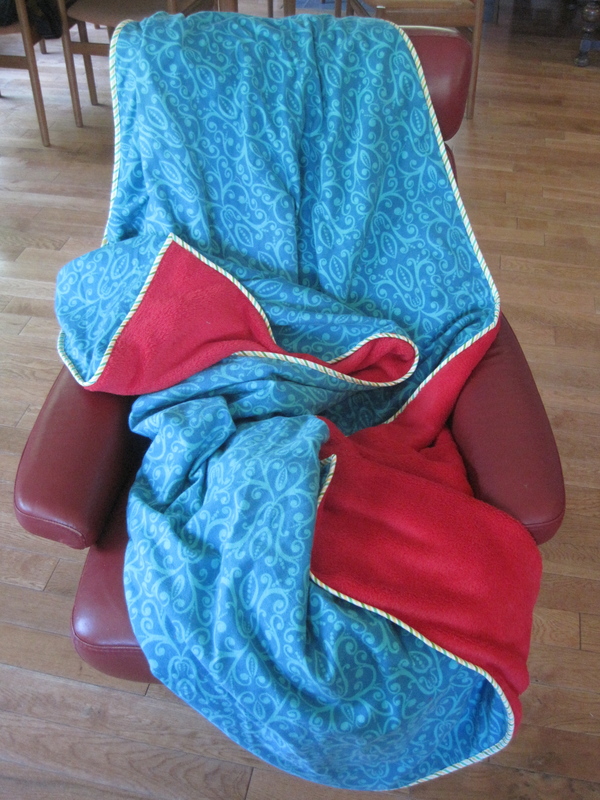 This blanket went to a friend to comfort her during chemo. I am VERY happy to say that she recently finished her treatments and is doing great. I know I should tell you how I do an all machine stiched binding, but that is a story for another day. Maybe during Break-Up season we will tackle that technique. 15 Dec	This entry was published on December 15, 2013 at 3:34 PM. 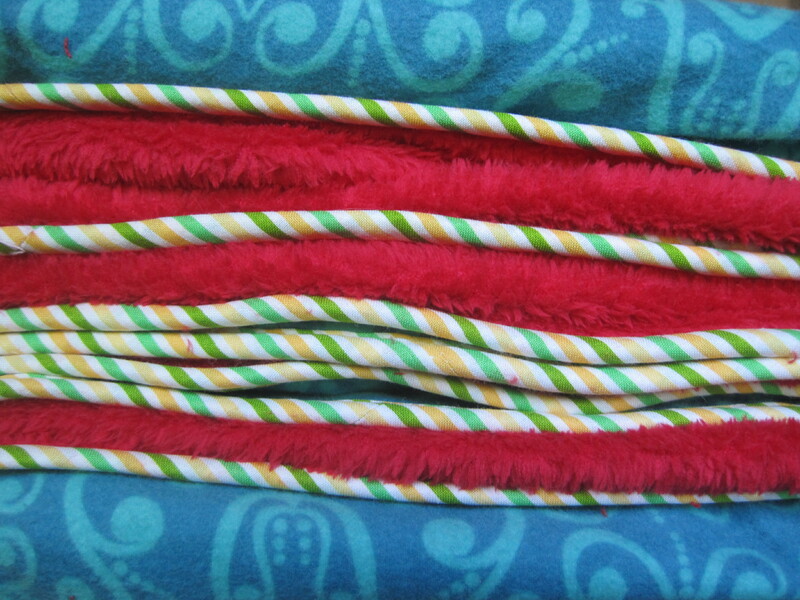 It’s filed under Things I Make and tagged Fleece Flannel Blanket, Twirly Striped Bindings. Bookmark the permalink. Follow any comments here with the RSS feed for this post. Great way to do bias binding and NOT waste fabric. Good tutorial Maria, thanks. You know, Maria, with all these good teachings that you’ve given us, you really do have the first bones of a book right in your mailings. If the knee bone is connected to the thigh bone, and the thigh bone is connected to the….. well, you remember that song? You’ve got quite a skeleton going already. Start lining up your publisher! Sue- You are on to me!Thank you very much for your support. It means a lot to me.